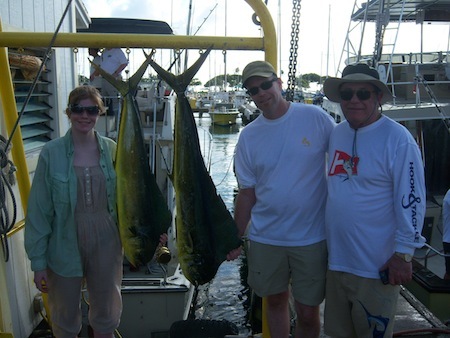 David, Karen, Steve and Uncle Mike with a handful of Mahi Mahi, Ono and Aku! With the Maggie Joe gone, the Sea Hawk is picking up the slack! 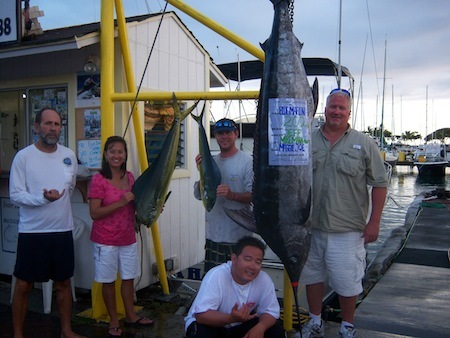 Mahalo to David, Karen, Steve and Uncle Mike for choosing Maggie Joe Sport Fishing. 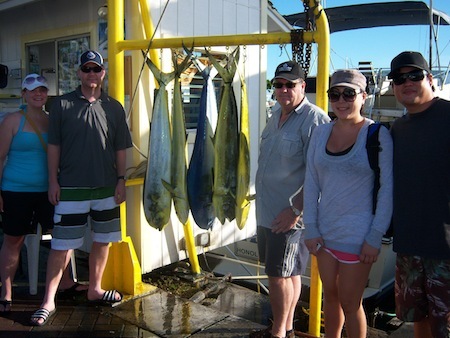 The family spent the day deep sea fishing outside of Honolulu, Hawaii aboard the Sea Hawk. 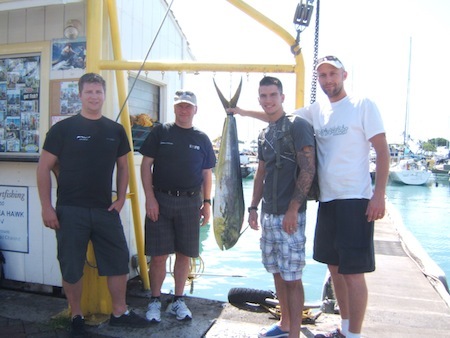 They had a great time and with their nice haul, they went home with some good tasting, fresh fish! Aloha! 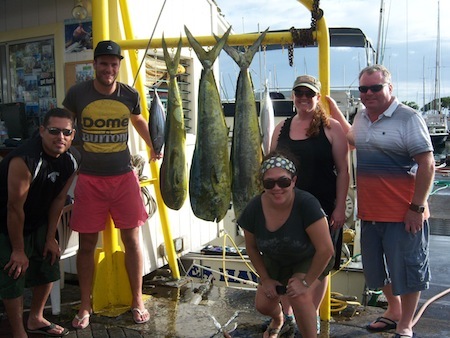 Kevin, Christine, Meaghan, Tom and John with 3 Mahi Mahi and 2 Aku! 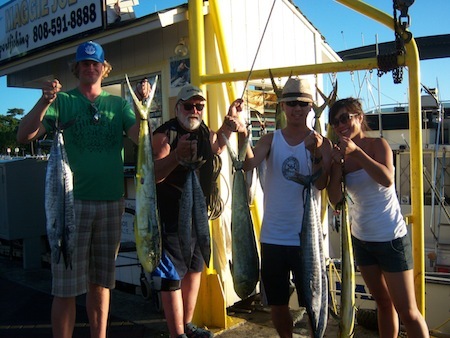 Mahalo to Kevin, Christine, Meaghan, Tom and John for choosing Maggie Joe Sport Fishing! The group joined Captain Darryl on a sport fishing charter aboard the Sea Hawk. 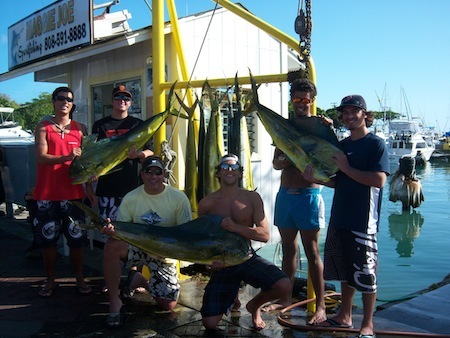 They hauled in 3 mahi mahi and 2 aku while deep sea fishing outside of Honolulu, Oahu. Aloha! 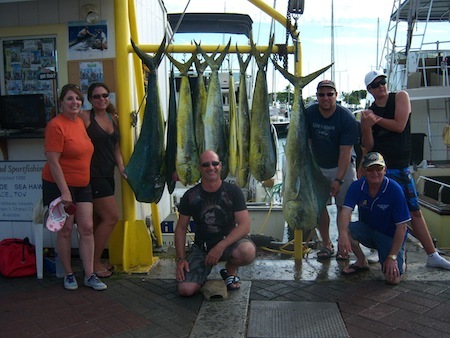 Colleen, Joe, Peter, Kimberly, Tristan and Trevor with 9 Mahi Mahi! 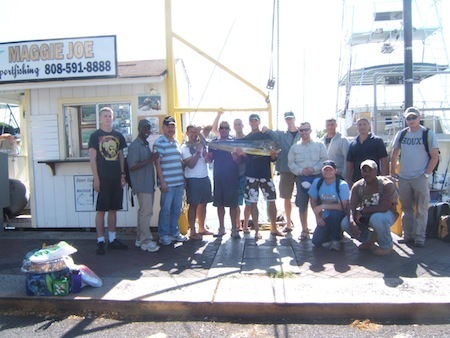 Mahalo to Colleen, Joe, Peter, Kimberly, Tristan and Trevor for choosing Maggie Joe Sport Fishing! 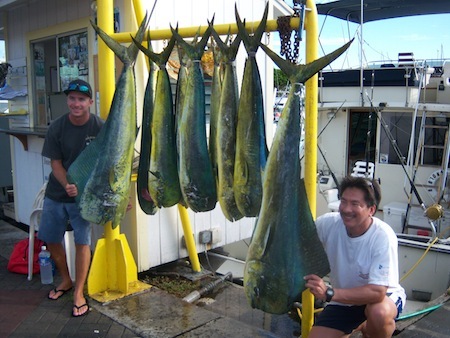 They caught 9 Mahi Mahi today while deep sea fishing off Oahu. Way to go guys!